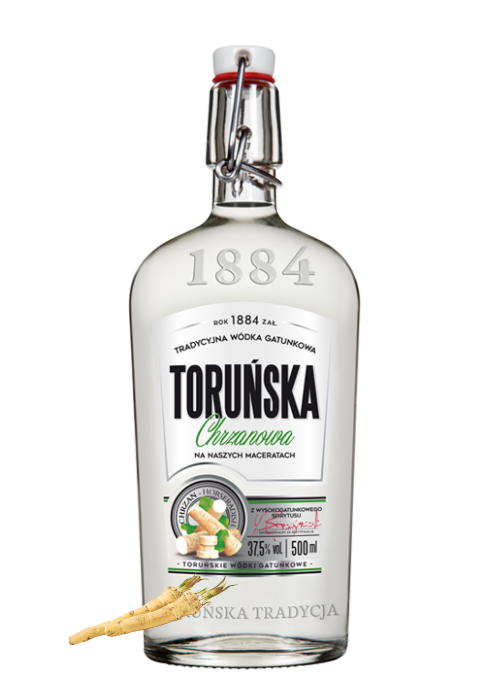 Toruńska Vodka is traditional vodka which was known in Poland even before the war. It is produced according to a tested recipe based on high-quality grain alcohols and crystal clear ground water from our intake. Best for banquets and long discussions among friends. 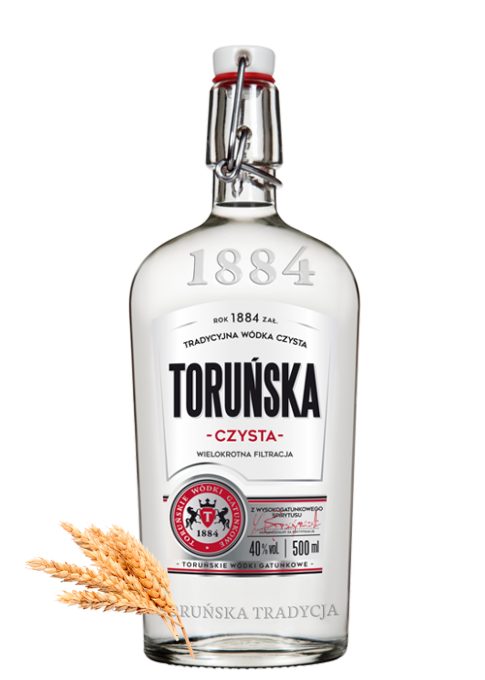 Toruńska Potato Vodka is a pure vodka crafted only on the basis of the precious potato spirit, to production of which only the polish potatoes were used. It is a nod to the best Polish distillery tradition. This refreshing flavoured vodka is based on natural lemon juice and lemon macerate – the ingredients contributing to its fresh and exceptional taste. It is perfect for summer heat, though also suitable for a warming-up tea in winter. Some say that it is the best lemon vodka they have ever drunk. This cranberry vodka is characterised by a refined red colour and exceptional smell and taste. All of that is achieved thanks to the combination of high-quality pure vodka, natural cranberry juice extract and cranberry macerate. It is excellent for mixing drinks, but even better when drunk sauté. 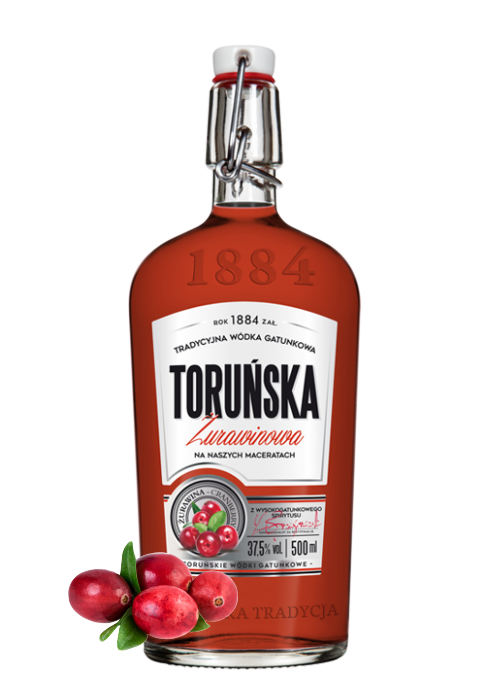 Toruńska Quince liquor is a hidden-in-a-bottle memory of the Indian summer in Poland. This beverage is produced from quince macerate of our own production. Thanks to that ingredient the liquor has such unusual, refined taste and aroma. Best on the rocks. 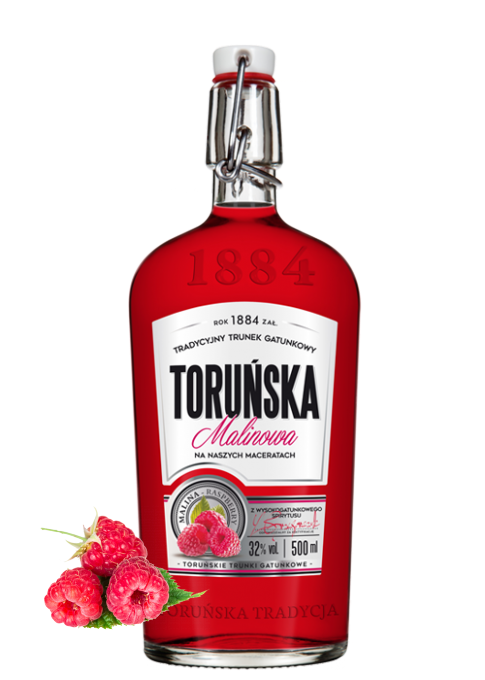 An outstanding product among Toruńska® liquors. Thanks to a well-thought-out mixture of spice macerates, which is our trade secret, it has all of the richness and complexity of gingerbread aroma and flavour. Taste it once and you will reach for it on numerous occasions in the future. This is ruby liquor with natural raspberry flavour. All of that is due to natural raspberry juice and macerates used for its production. It composes perfectly with tea and desserts, and tastes best when drunk in a circle of close friends or relatives. 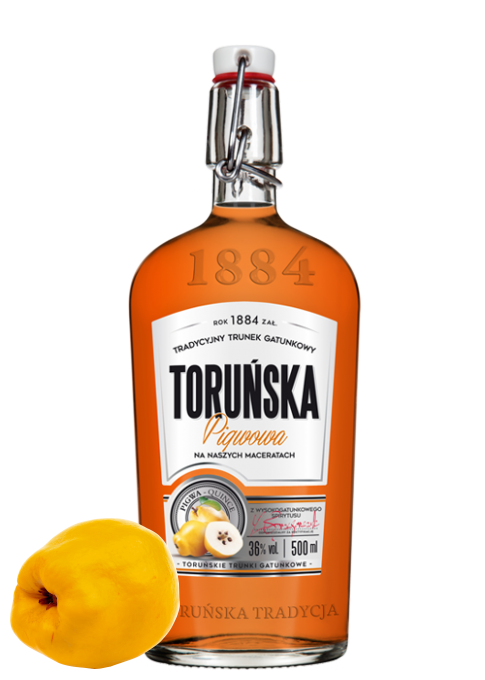 This unique horseradish vodka derives its exceptional, well-defined taste and aroma from macerate of Polish horseradish. Ideal for meat dishes and snacks, feast held at a table or barbeque meetings. Select pure vodkas from the town of the Great Astronomer. at 180°C and multiple filtration. Elegant, ornamented bottles which stand out on a shelf. Also available in gift packaging: cardboard boxes and tubes. Masterful combination of alcoholicity and unique flavours. Owing to an extra-ordinary recipe based on high-quality natural ingredients, it is well-appreciated not only by enthusiasts of strong liquors. It is composed in such a way that it tastes superb even if not cooled down. Available also in elegant gift packaging: cardboard box and tube. This velvety-in-taste and elegant pure vodka is the best choice for a present and for special occasions. It is a truly exquisite souvenir from the town of Copernicus, available in a beautiful sateen bottle and in elegant gift packaging: cardboard box and tube. This pure vodka has a velvety taste obtained thanks to a specially composed mixture of grain alcohols. Its beautifully ornamented bottle will take you back in history to the world of Mediaeval Hanseatic merchants. This vodka is not only for consumption but also for reading about the Middle Ages. Historical events are described on the bottle in two languages: Polish and German. It is an extra-ordinary souvenir, also available in richly decorated boxes in form of Gothic arches with stained glass windows. 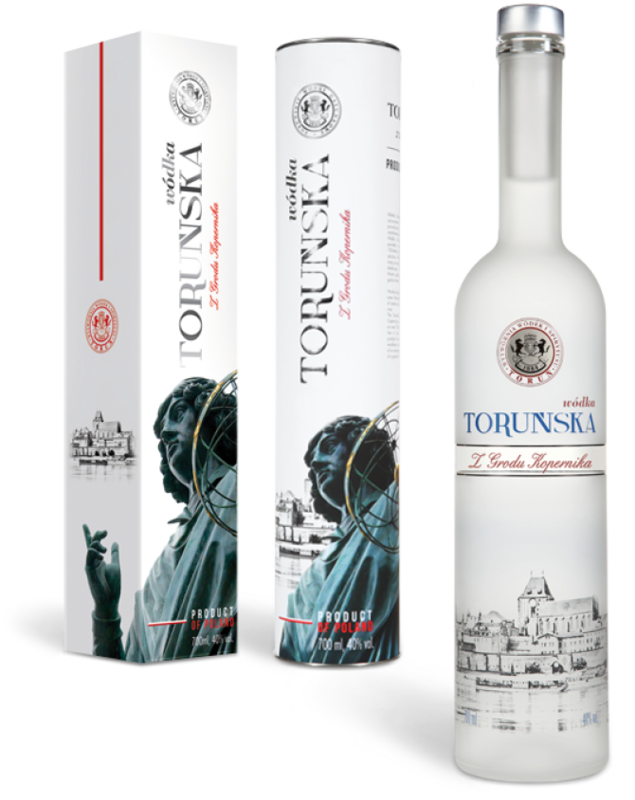 This is pure vodka with the history of Torun in the background. Rich in taste, the vodka is in a beautiful sateen bottle with graphics depicting the historical Teutonic Knights’ Castle in Torun and with the Polish and German descriptions of its demolition by the locals. This is an extra-ordinary souvenir from the town of Copernicus and a gift not only for those who have fallen in love with the town. Thorn Vodka is also available in beautiful gift boxes. Traditional Polish liquor made from aged plum distillate, which owes its golden color and unique flavor. Unusual alcohol of a collector’s character – each bottle has its own individual number.